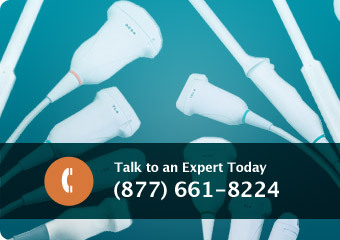 Providian Medical is your one-stop source for the biggest selection and lowest prices for new and used ultrasound probes and ultrasound transducers. We carry a complete inventory of ultrasound equipment with ultrasound machines by GE, HP, Toshiba, Sonosite, Philips and many more. No matter what you need for your ultrasound system, it’s a good bet that Providian Medical has it at the best price. Contact us today for a low price quote.